Lucky Dog Rescue Blog: Martha Stewart Features Pet Pardons! Martha Stewart Features Pet Pardons! 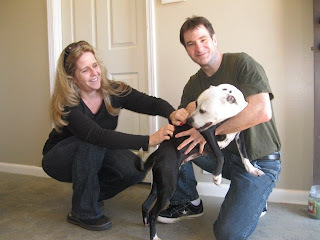 Here's my blog post about Pet Pardons for Martha Stewart's website, The Daily Wag! Thanks Pia!!! While popular Facebook apps like Farmville allow users to trade imaginary cows and chickens, Pet Pardons (Facebook account required to view) lets you advocate for actual animals whose time at the shelter is almost up. And all of this can be done with a simple click of the mouse (not a real mouse!). Here are a few shelter pets that have recently been saved thanks to Pet Pardons! Overcrowding in animal shelters across America has led most public shelters to place a time limit on how long an animal has to be found by an owner, adopted, or fostered by a rescue group. That time varies from state to state but is typically somewhere between 3 and 5 days, if space at the shelter is limited. Shelters and rescue groups can post photos and information about their most urgent cases, and let the Pet Pardons users do their part. When you click the "Advocate" button on a pet’s profile, that profile appears on your wall, allowing others to see a photo and advocate as well. As the number of shares increases, so do the chances of the pet being viewed by someone who can adopt or help with donations and more advocacy. "Advocating works," says Pet Pardons co-founder Chris Hoar. "This simple act is truly saving the lives of hundreds of shelter pets across the country! Many pets with only days to live are actually finding their forever homes, thanks to the Pet Pardons app. Pet Pardons users can get even further involved by clicking to foster, transport, or donate for a pet. "Pet Pardons was founded with one goal in mind: to end euthanasia in America by 2015," he continues. "The app educates the public about the pet overpopulation, focusing on the importance of adoption and spay/neuter. By shining a light on the reality for shelter pets, people are becoming aware of the problem, and therefore, getting involved in the solution. Users are able to see [the pets'] faces, connect with their stories, and advocate to save their lives." One special Pet Pardons success story involves Pet Pardons Co-Founder and Director Ashley Owen Hill. Ashley posted a dog named Daisy on the app, in hopes of finding an adopter. 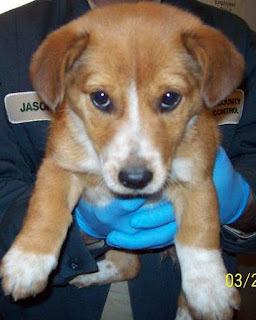 Daisy was in a Mississippi shelter, with only one day left to live. Because of Pet Pardons, the Mahoney family saw Daisy’s photo on a friend’s Facebook wall, and made the life-saving decision to adopt her! Daisy is treasured in her new home, and the Mahoneys Advocate daily on Pet Pardons! Thanks Ashley, Chris and all who are out there advocating for our fellow critters! Be sure to visit Pet Pardons to help other pets in need! To add the app, click on "Pet Pardons" under "Likes" in the left-hand column, then click "Got to App" at the top of the page. LOVE! LOVE! LOVE! This is awesome, Ashley!!! Miss Daisy Dooley is so proud to be a part of helping Pet Pardons save lives every single day!! Keep up the good work! I can't wait to see all that happens by 2015 as a result of all of the work Pet Pardons and the advocaters are doing. I'm so proud of you!!! Thanks Lady, nobody uses a pen like you! Awesome! This makes me so happy to read. You are doing amazing work!